Grandmother love giving their Daughters and Granddaughters these beautiful lockets with photos inside, it’s a wonderful gift that can be passed down from generation to generation. You can also get a photo engraved on a gold or silver charm and ring. 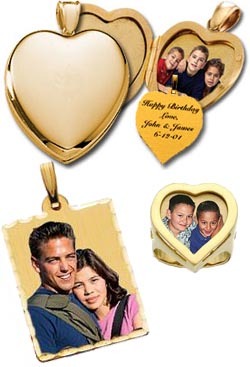 ï¿½Your photo in full color permanently lasered onto your charm. These are wonderful gifts that can be pass down though the family forever.